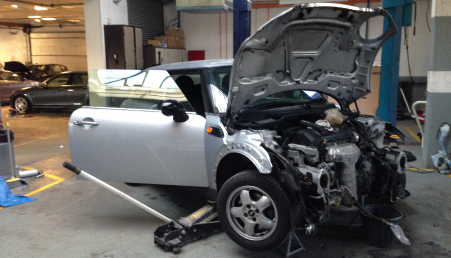 As an approved body and paint repairer we have the equipment to enable us to meet the exact manufacturer’s repairer criteria. 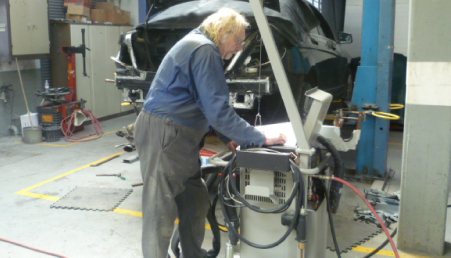 When handing your vehicle over to a bodyshop you should be completely confident, and assured of your decision to choose Spraystyle Bodymasters Ltd, as all repairs are carried out in accordance with the manufacturers recommendations and specification. As a MVRA Approved Quality Assured Bodyshop, Spraystyle provides the best level of service to our customers, were the code of practice is strictly maintained. By adhering to such practices, customers can rest assured that the high level of quality will be maintained and your vehicle will be repaired as quickly as possible, to its pre-accident condition. Should you have any question please do not hesitate to contact us. Are your staff fully trained? Used at Mercedes Benz, this equipment identifies faults within your vehicle to allow us to diagnose and repair efficiently. Do you provide a guarantee? We provide a comprehensive guarantee on all repairs undertaken.